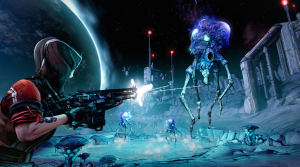 2K and Gearbox Software announced today that Borderlands: The Pre-Sequel, an all-new standalone Borderlands game set in-between the award-winning Borderlands and Borderlands 2, is currently in co-development by Gearbox Software and 2K Australia. 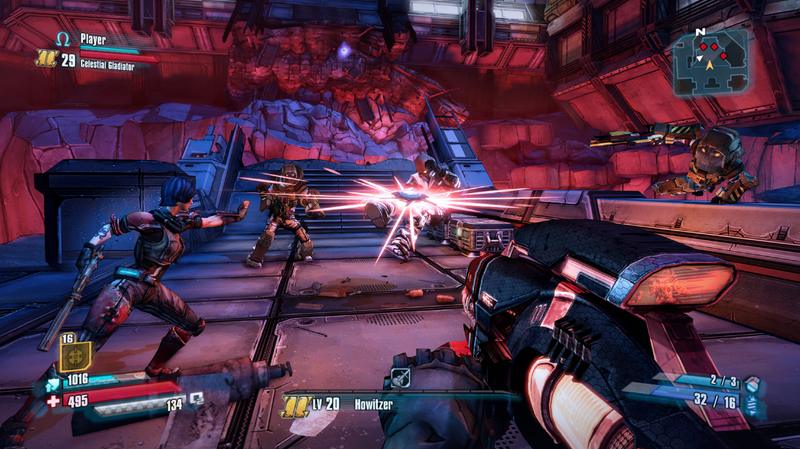 Borderlands: The Pre-Sequel will be available worldwide in fall 2014 on the Xbox 360 video game and entertainment system from Microsoft, PlayStation 3 computer entertainment system, and Windows PC. 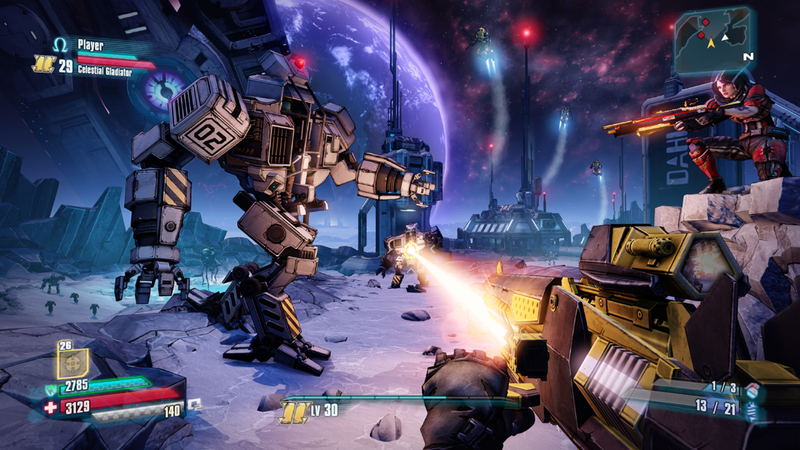 Borderlands: The Pre-Sequel launches players to Pandora’s moon to experience wild, gravity-bending gunfights in zero-atmosphere environments using an array of all-new weaponry. For the very first time, fans play on the other side as four new playable characters contributing to the rise of the Hyperion Corporation. 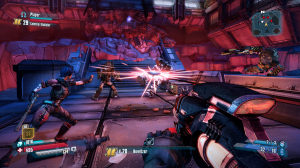 Fighting alongside Handsome Jack, players witness his transformation into the megalomaniacal tyrant that fans loved to hate in Borderlands 2. 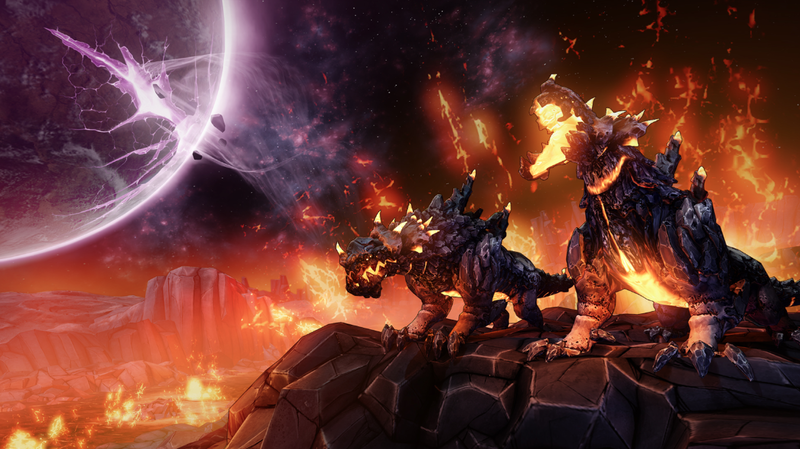 Borderlands: The Pre-Sequel is coming to the PAX East fan convention in Boston this weekend. Located at booth #962, attendees can get a first look at the game in action, grab PAX East-exclusive Borderlands swag, and participate in a sweepstakes to win even more real-life loot. Borderlands: The Pre-Sequel is the newest entry in the critically acclaimed Borderlands franchise that is currently being co-developed by Gearbox Software and 2K Australia. Borderlands: The Pre-Sequel continues the franchise’s tradition of industry-leading co-op, allowing up to four players to experience all-new low-gravity, shoot ‘n’ loot gameplay on Pandora’s moon. Featuring four new playable character classes armed with powerful laser and icy Cryo weapons, players will battle against an array of new enemies. 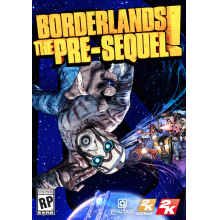 Taking place in-between the events of Borderlands and Borderlands 2, Borderlands: The Pre-Sequel showcases Handsome Jack’s transformation into the ruthless tyrant fans loved to hate in Borderlands 2. 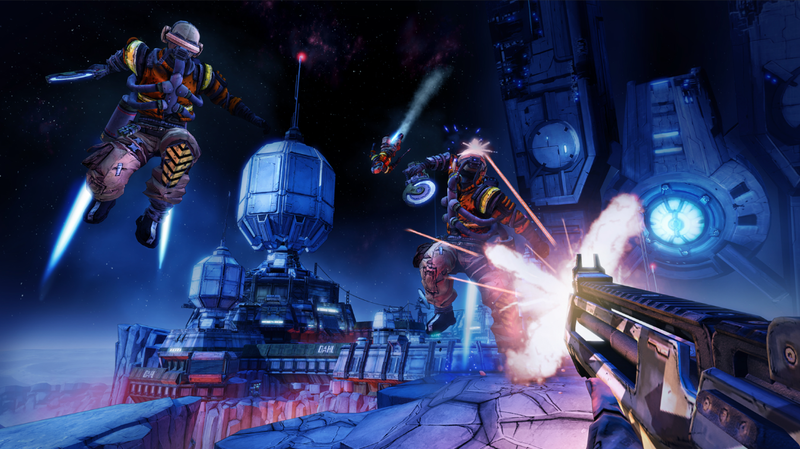 For even more information on Borderlands: The Pre-Sequel, check out Kotaku.